Like humans, plants prefer to operate in daylight rather than fumbling around in the dark. And that’s why many flowering species refuse to grow without the necessary 10 hours of daylight to encourage them (onions insist on a lengthier 14 hours). As a result, don’t expect much growth during November to February. There’s plenty of things to do in November anyway. If you’re growing indoors in a greenhouse or a propagator then you’ll need additional lighting as well as having to pump in more heat (what utility bill increase?!). 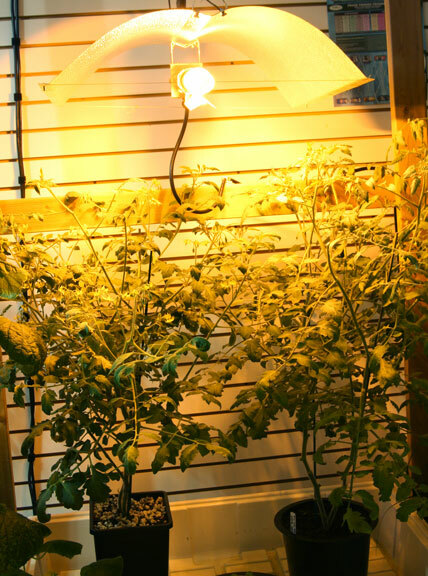 Incidentally high pressure sodium lighting is believed to be better at encouraging plants to grow indoors than standard fluorescent lights. 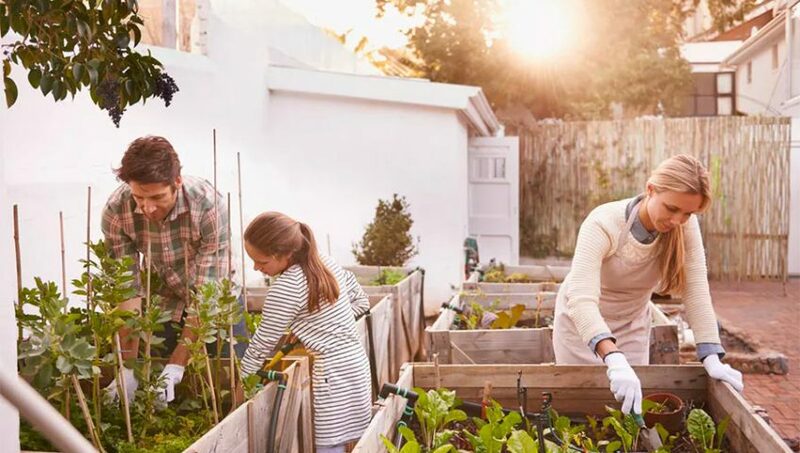 Having said that, many gardeners say that it is the length of the darker (night time) periods rather than day light which control the growth of a plant. Well, here in the UK we are currently a month from the Winter Solstice (or shortest day) on December 21. Talking of December and winter, there is also another big problem we face as gardeners in the winter, that doesn’t come from the sunlight hours, however, it’s the winter snow and icy winds. 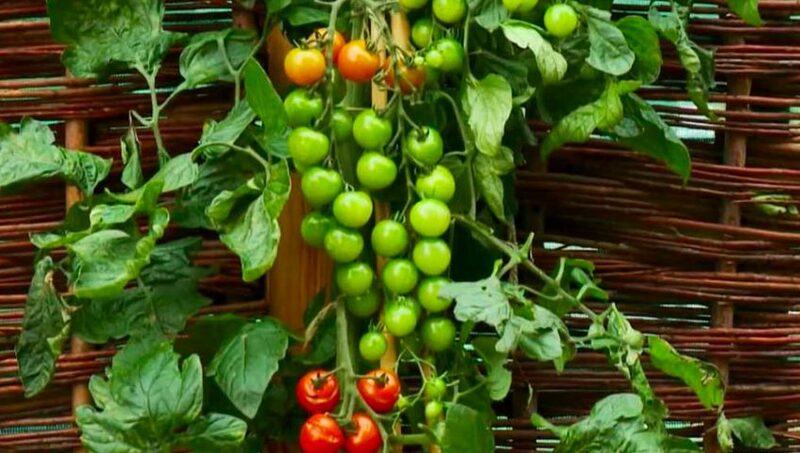 The more sunlight available to a plant the longer it will potentially grow for. All bulbs used for creating ‘artificial sunlight’ for plant growth have reflective light fittings to derive maximum effect. The strength of the bulb is measured in kelvins with 5,600 kelvins equivalent to natural day light. A light with a blue tinge indicates a high kelvin rate while red does the opposite. Fluorescent grow lights. Standard or high output, these tubes come in both cold and warm varieties. The standard lasts for around 10 hours while the high output will go on for double that length of time. Incandescent growing lights Incandescent grow lights heat up so much they can actually cause the plant to burn if not checked regularly. However, they are excellent for use on a single plan such as a bonsai tree, provided they are at least 24 inches away from the plant. 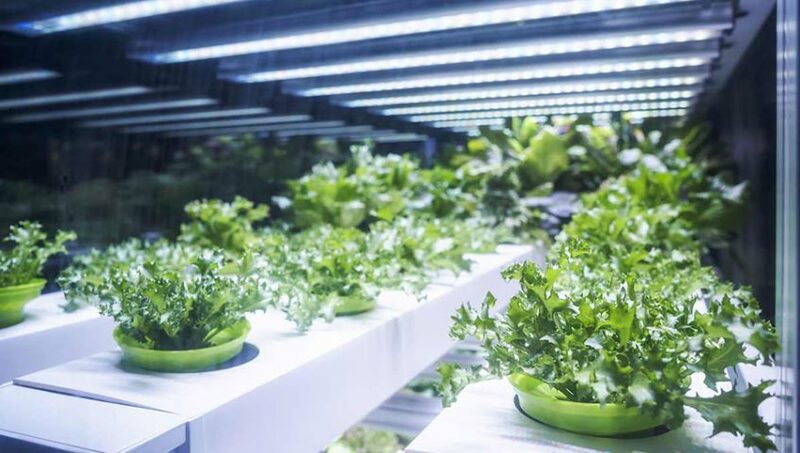 High Pressure Sodium Grow Lights The most popular type of lighting is the high pressure sodium (HPS) grow light. 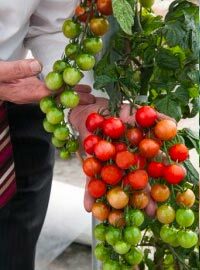 You’ll find it in both domestic greenhouses and commercial growing industries. It’s also the most energy efficient bulb available on the market at the moment which again, will appeal to plenty of gardeners. Metal Halide HID Grow Lights More like natural sunlight than any of the other available bulbs, the metal halide (MH) high density discharge grow lights provide bright white light of up to 5,500 Kelvin degrees. You’ll normally find these in supermarkets and other large stores. Those used in gardening are on the warm (red) side of the spectrum and last up to 20,000 hours. You can replicate an incredibly similar to summer rig in your conservatory. Simply get a decent planting setup, quality soil (hopefully partially from the compost and garden bin. You can even setup an automatic watering system in case it’s too cold to go outside. This weekend British gardeners will be gearing up for the change-over to spring time as the clocks go back. Some of us probably put a good bit of work into our garden over Winter in preparation for the Spring & Summer. But don’t be fooled into thinking there’s no more frosts on the horizon. After all, we’ve had snow before in April and I’ve even had my snow shovel out! So, think twice about putting your vegetables into the ground round about now, even though on the surface it might seem the sensible thing to do. Rest assured it’s not! Some smart gardeners are still using a propagator to bring their little seedlings along. Instead, go for a bit of simple planting. Grab a couple of plant trays, your favourite vegetables that fair well in a colder environment, and a hand fork. I invested in a planting workbench but really any old table would do. For a start it’s not a good idea to turn over wet soil as this will result in large clumps which will probably, over the next few weeks, turn into solid, unmanageable clumps. Instead, it’s best to have patience and just allow your soil dry out. If ever there was a tip on soil preparation that would be it. 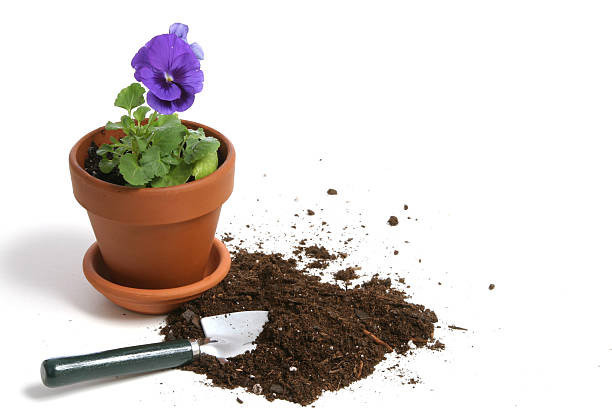 The amount of work moving wet soil creates is three fold that of dry soil with a good garden fork. 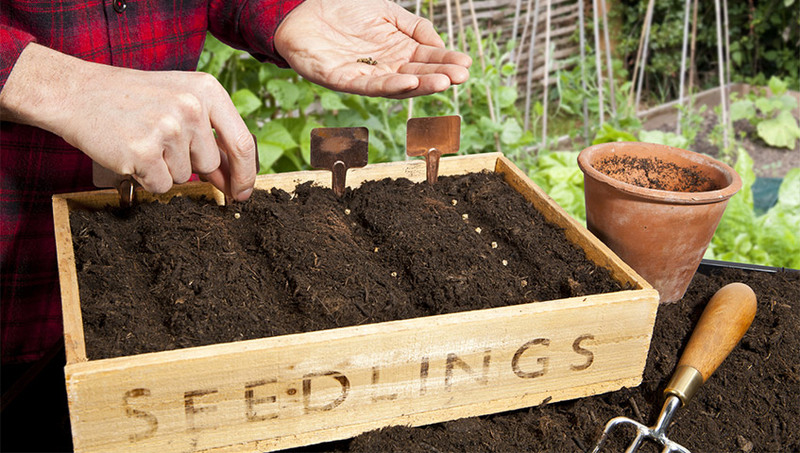 If you’re fortunate enough to be in possession of raised vegetable beds then add compost from the bins to the top layer and sow your seeds directly into the compost. That way you don’t have to worry about disturbing any wet soil. 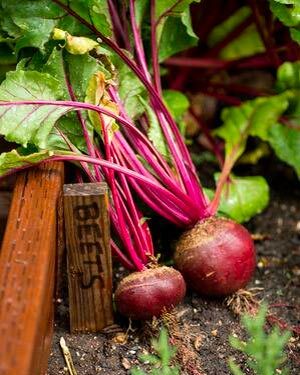 Think about vegetables that will thrive in colder climes such as Swiss chard, carrots, beets, lettuce and other greens. These seeds will all bide their time until the soil temperature is right for them to start springing through. It’s actually a good idea to think about covering them with plastic or some other recommended cloth to keep them warm. A propagator as mentioned before is ideal to create this environment earlier to stimulate an early crop. Water them really gently, using a hand pump spray gun that can produce a fine mist. If you’re thinking of growing more Mediterranean vegetables this year such as zucchini, peppers and beans, don’t even consider this until mid-May at least. A possible encounter with frost for these crops is a big no-no and will only end in tears. It’s not worth the effort. If you’re more of a flower hand, then get down to planting violas or even pansies right now as these are two pretty species which can stand the late winter frosts. 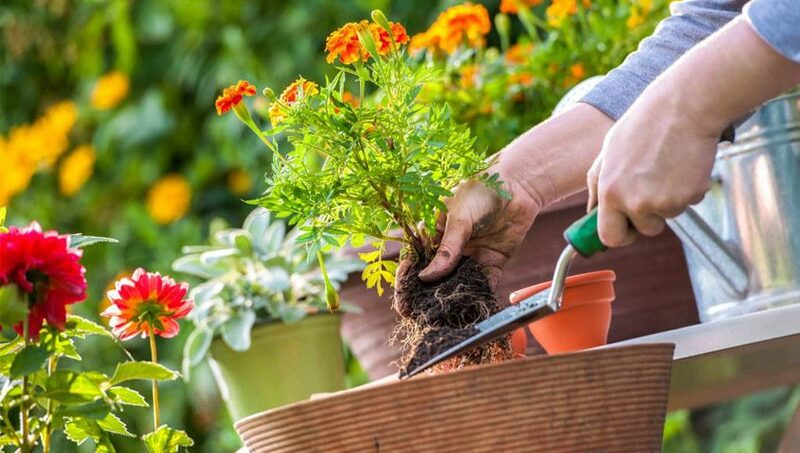 But do them a favour and confine them to plant pots or troughs rather than putting them straight into the ground as they’ll be better protected that way and you can move them into the conservatory if it gets too cold or wet. Think daffodils. These bright and cheery flowers enliven the day for everyone who is lucky enough to catch a glimpse of them. And for those who live in countryside near deer, rest-assured these animals simply don’t like the taste of them! Now is a good time to prune any grapes if you have them. Cut back to four to six inches and be quite harsh when it comes to pruning. Make sure your shears or secateurs are really sharp. Another thing we’d advise – sorry, we can’t resist this – plant now or forever hold your peas! 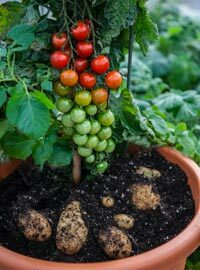 One of the oldest cultivated vegetables around these lovely veg are easy to grow and definitely well worth the effort. 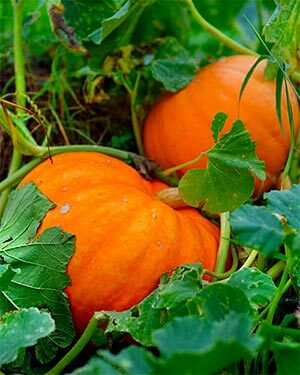 They like the cool weather and taste gorgeous fresh from the garden – especially in stir frys or soups. They also beautifully complement a starchy accompaniment such as pasta or potatoes and can be kept fresh with a squirt or two of fresh lemon juice. These can be planted as soon as you feel confident the soil is fresh (and not too wet) to turn over. Just make sure you have appropriate pest control in place, for both insects and slugs. Peas like the cooler weather but hate the wet. Peas need support and it’s a good idea to set up trellising either with mesh, fencing or other plants. Cover them with around two inches of firm soil and you’ll be rewarded big time. Whatever vegetables – or flowers – you go for this March/April though, always bear in mind the potential spring frosts.